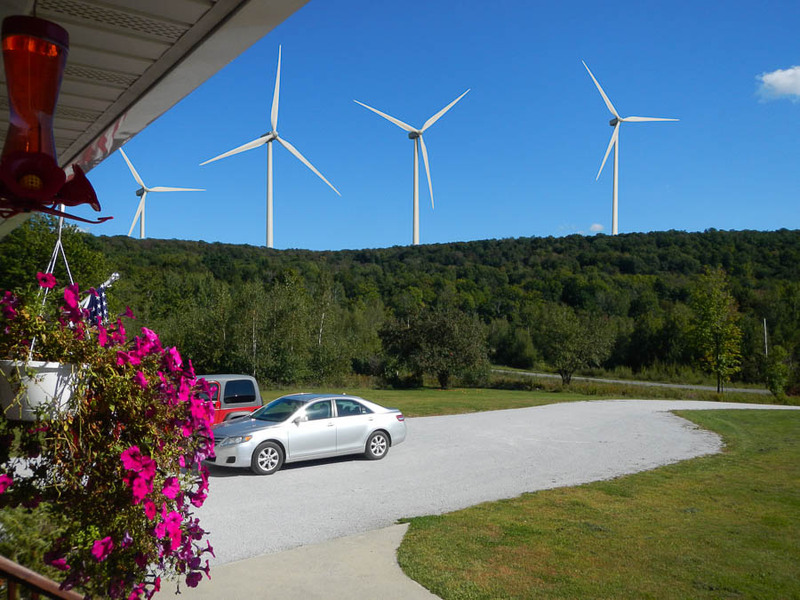 Swanton Wind Turbines from Rocky Ridge Road. 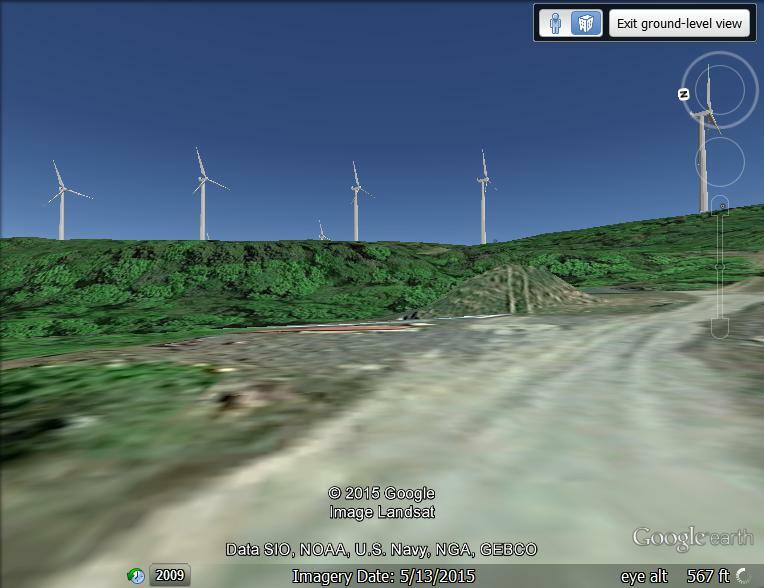 It may feel like these turbines are oversized in this picture. 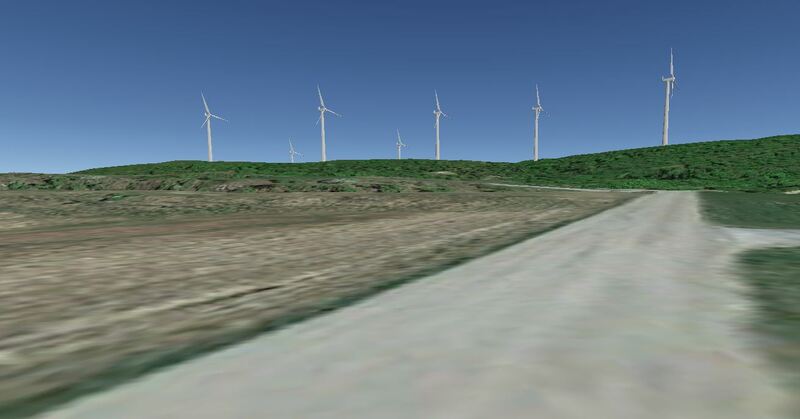 But, when you are standing on the road, you are at about 500 feet above sea level. 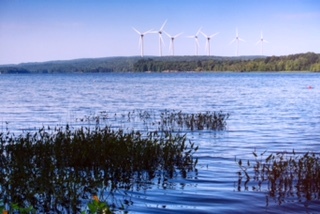 Since these turbines will be placed about 850 feet above sea level, the ridge is only about 350 feet tall. 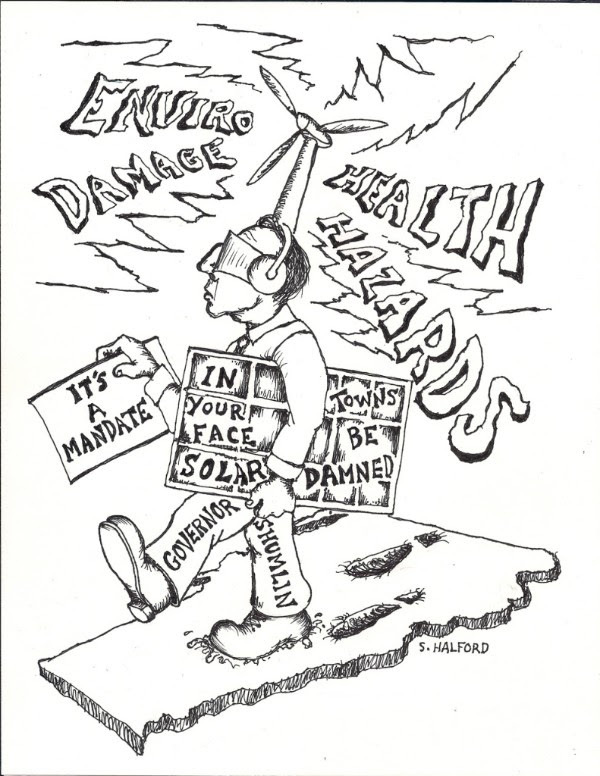 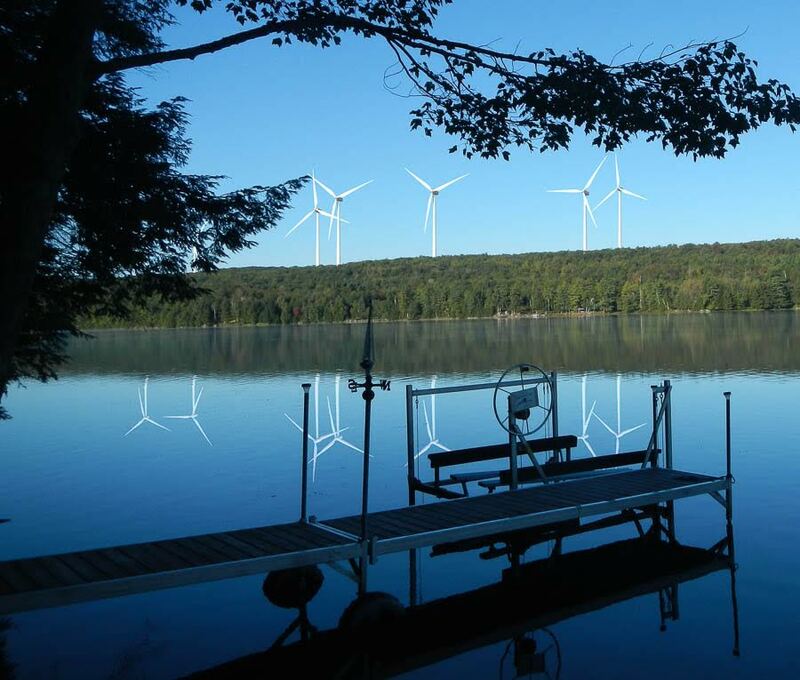 And yet, the turbines will be up to 499 feet tall which means that they are taller than the ridge itself. 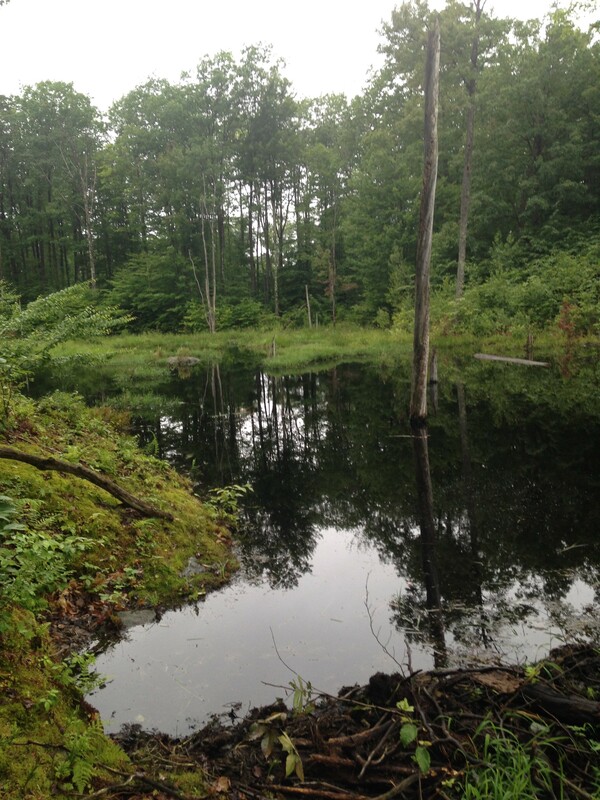 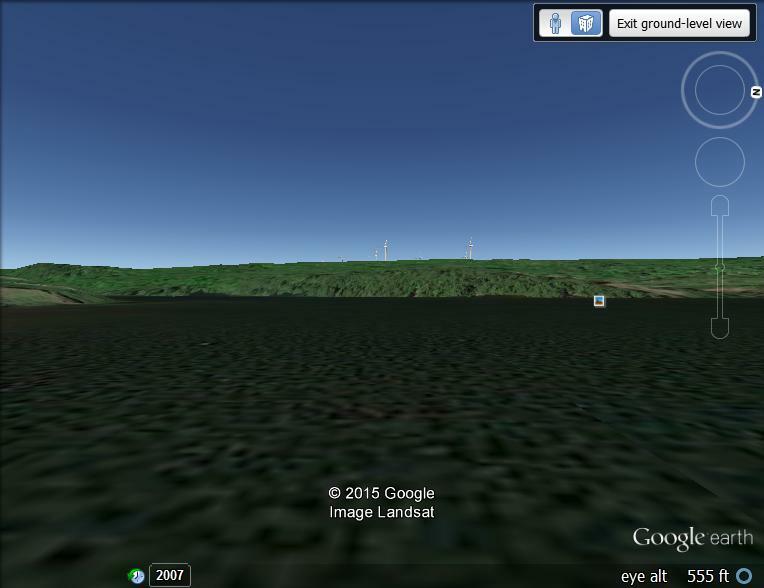 A beaver pond up on the ridge – the proposed site for the Swanton Wind Project. 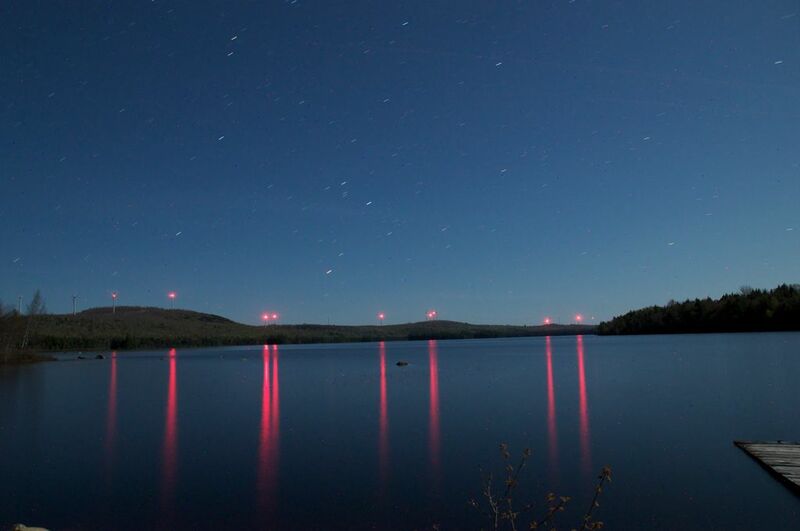 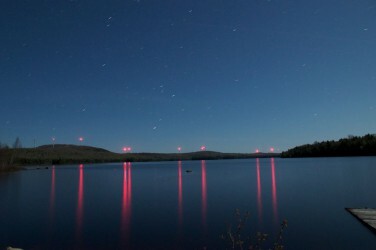 Only half of them… Photo taken in Lincoln, Maine of turbine lights at the Rollins Wind Project reflected on Upper Pond.